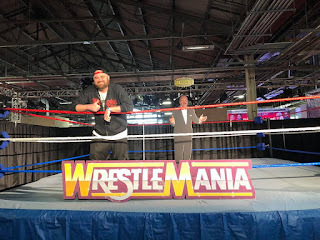 Well, after close to 30 years of being a diehard, loyal fan of the crazy sport called "pro wrestling", it finally happened...I finally made it to the dance. I attended my first Wrestlemania in New Jersey! 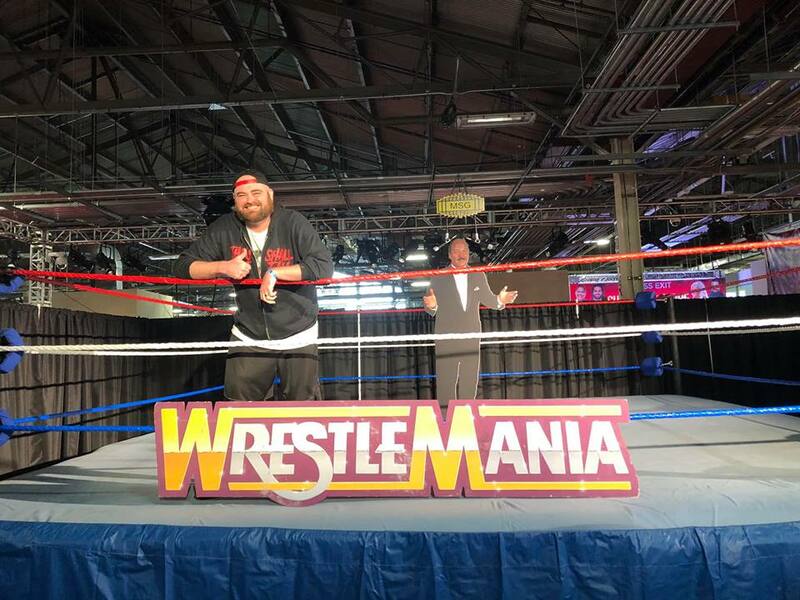 It was a long time coming but I finally was prepared to make my Wrestlemania Moment happen. 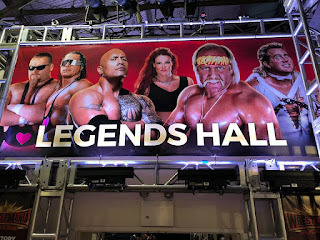 Of course, wrestling fans know that the events leading up, if not MORE important than what actually happens on the night of the big show. 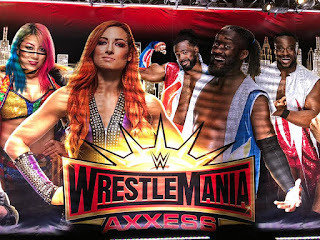 And one of the biggest events to happen is...WRESTLEMANIA AXXESS! 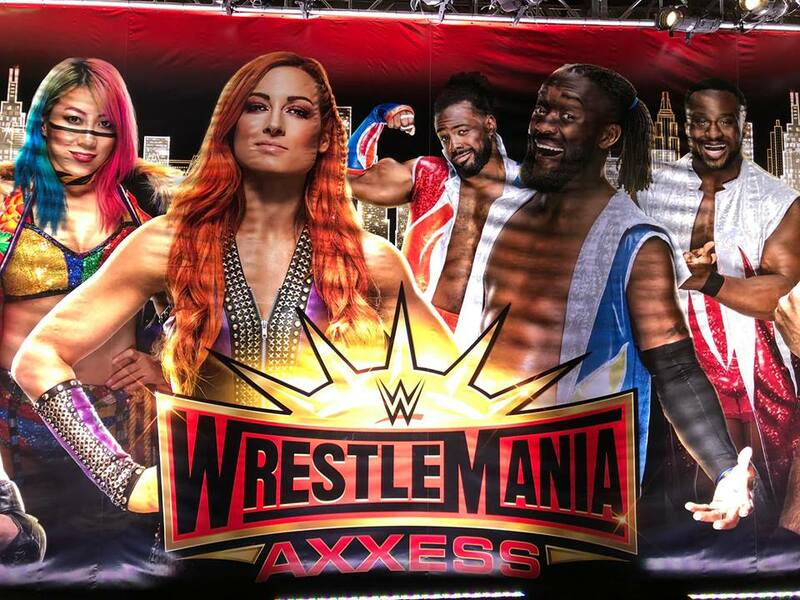 For those who aren't wrestling fans, Axxess is like WWE's version of a convention if it took place inside a TGI Fridays. Almost every personality on the roster (even a McMahon!) 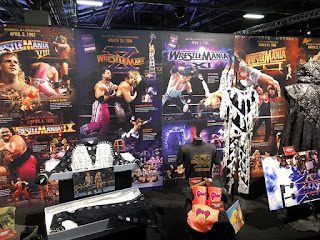 appeared signing autographs and took photos with fans while a bunch of crazy crap on the walls and in other sections to distract you from the fact that you'll be standing in line for hours. 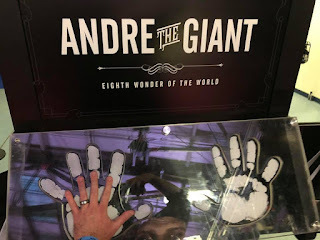 It was pretty wild. I've had many friends attend these through the years who made me swell up with wrestling geek envy when I'd see all their cool photos and now...I can experience it for myself! 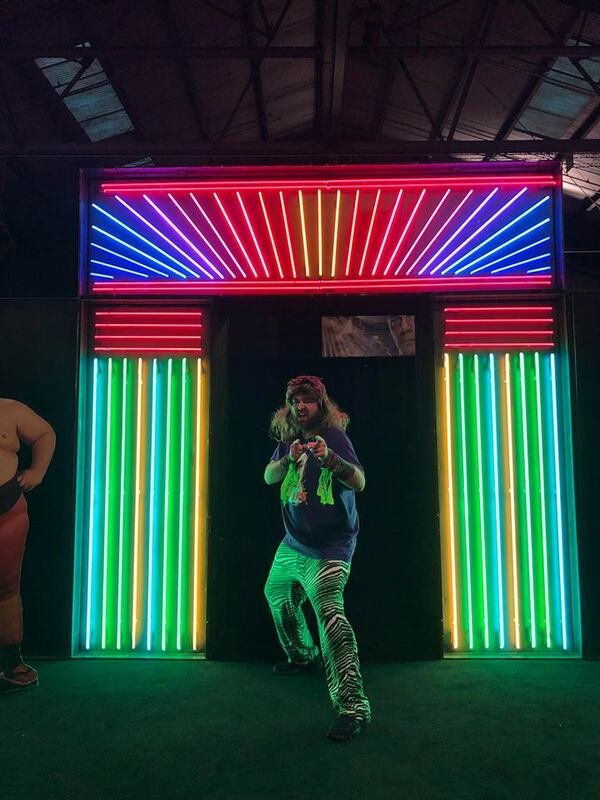 Gotta make a great entrance! Let's get rockin'! 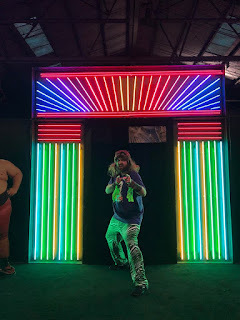 Yes I dressed like Marty Jannetty. Go big or go home. As previously mentioned, one of the biggest attractions was the rare opportunity to rub shoulders with your favorite WWE star. 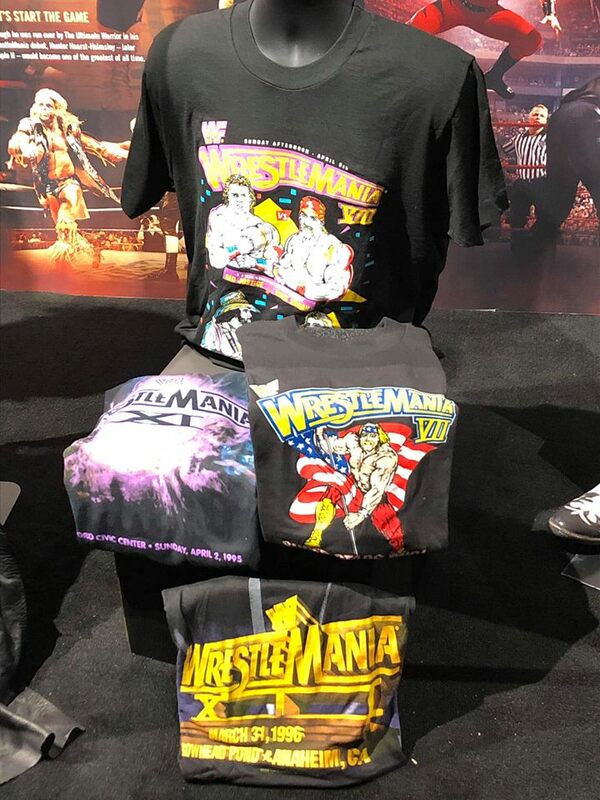 Be it someone from the current roster, the NXT brand, or even a former star/Hall of Famer. 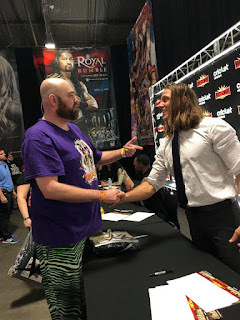 The days I went (Saturday evening and Monday morning) a huge NXT presence was felt and it was my thrill to meet such up and coming stars including The Velveteen Dream, who is no doubt going to be a huge star for the main roster, current NXT champion Johnny Gargano and his wife Candice LaRae, and of course my personal favorite Adam Cole (BAYBAY!) were just some of the top NXT stars in attendance. 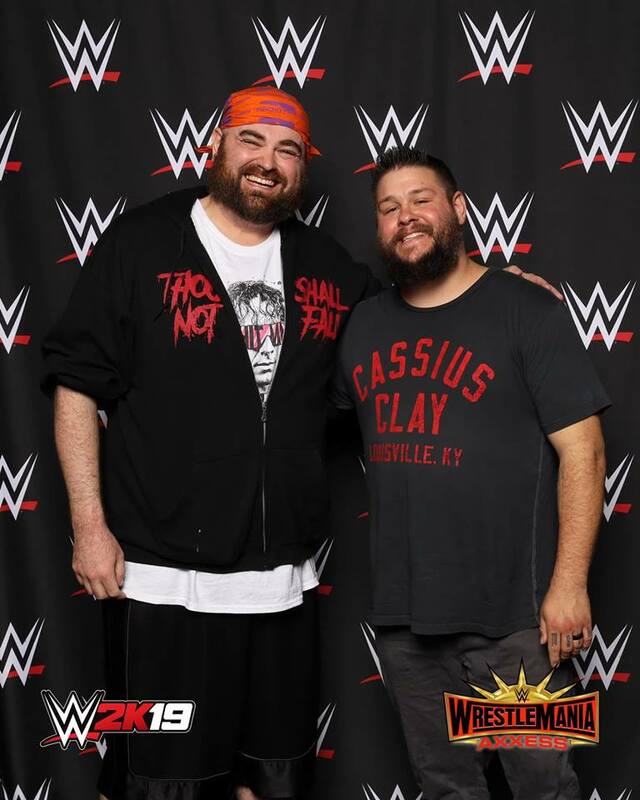 Much like a convention such as HorrorHound or Monster Mania, many of the wrestlers took photos with fans at photo booths or at signing stations which lead to some amazing moments. My personal favorite? Meeting Matt Riddle and both of us literally going back and fourth with "bro, you look great!" about 4 times, laughing and giving each other a big hug leading the staff photographer to say to my wife "it's like they've known each other their whole lives". Believe everything you hear about Matt being tremendously awesome. Because it's true. All of it. Me and the new Women's Tag Champs, The Iiconics! 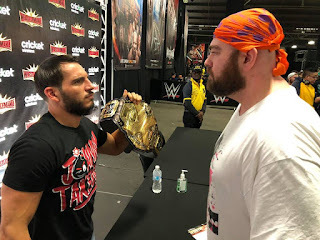 Of course, I couldn't help but challenge Gargano and sign the contract for NXT Toronto. 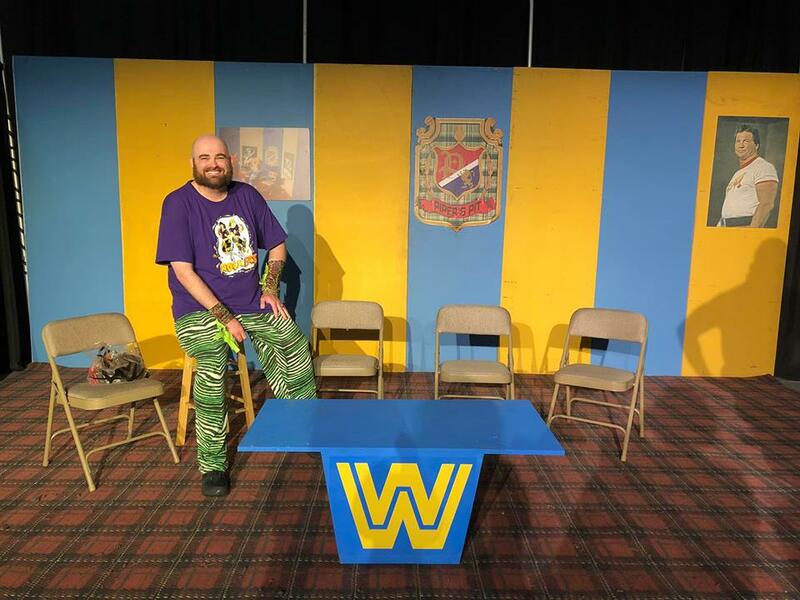 See you in 4 months, Johnny Champion. That belt is mine! 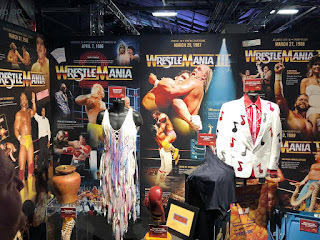 Here in the Legends Hall, in what could be considered the closest to a physical Hall of Fame as we could get, fans could find items such as ring worn outfits and belts, statues of legends, Andre The Giant's hand prints, a replica of Piper's Pit, and so much more. I'm barely even scratching the surface here. 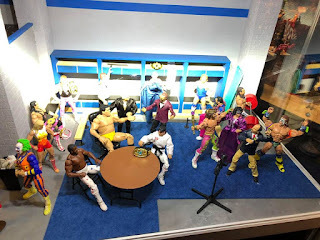 if you're a long time fan, this was a nostalgic treasure trove that sent you right back to your childhood. 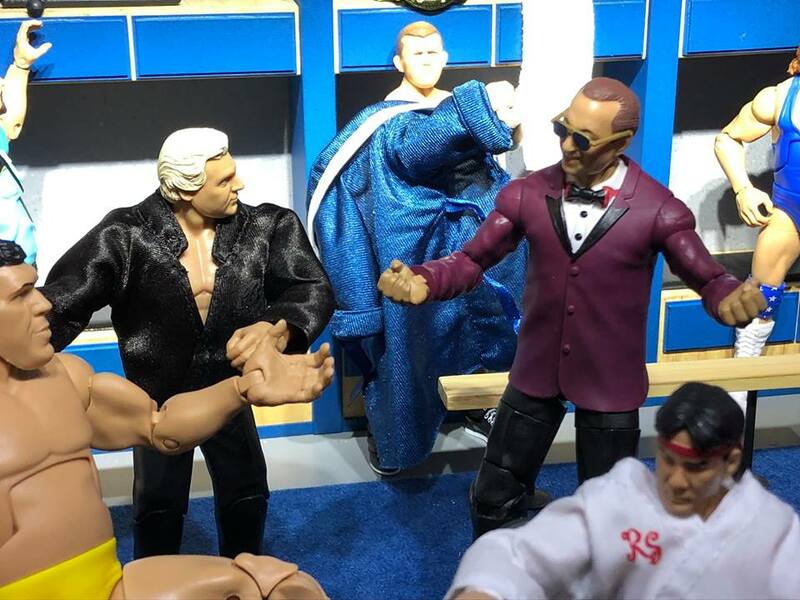 Another fun feature was Mattel coming by with a rather large display of new figures and fun surprises! 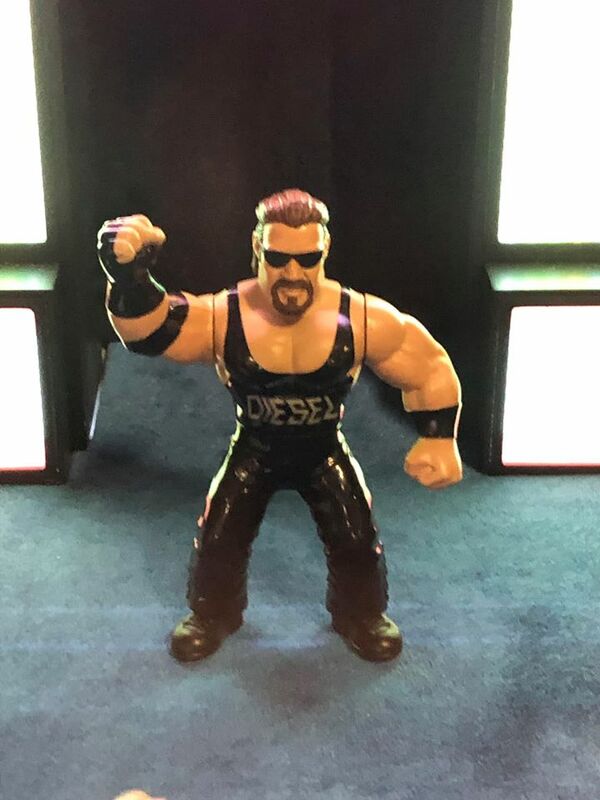 Here at Axxess, the much anticipated Diesel "Retro" figure was revealed. 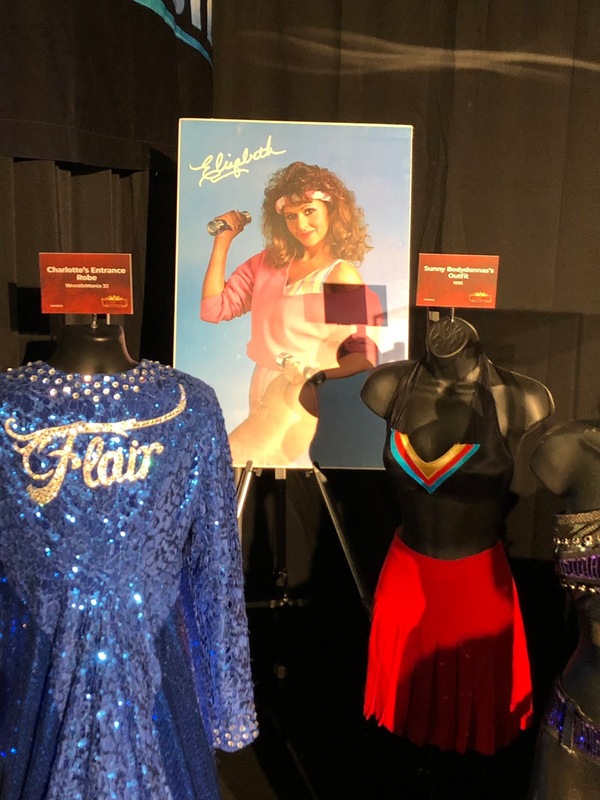 But the most shocking and no doubt desired reveal? A Gorilla Monsoon/Bobby Heenan two pack! 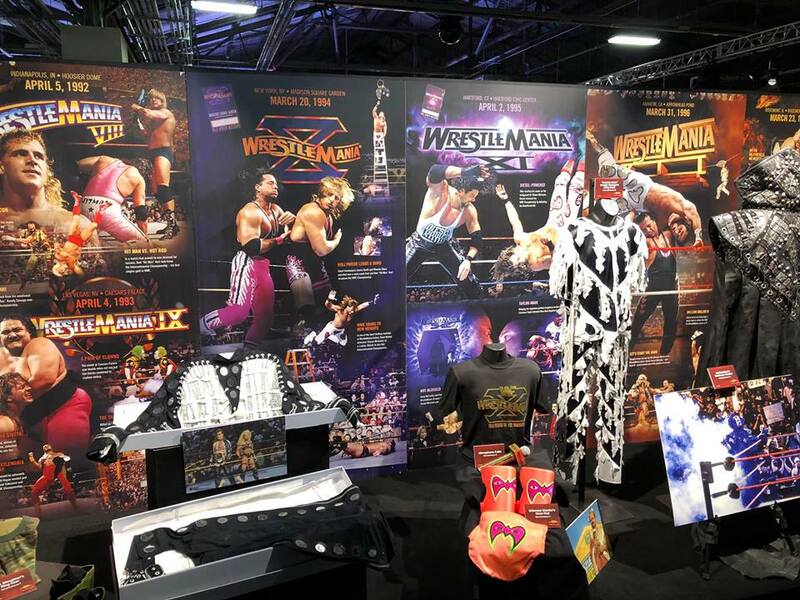 Check out this amazing display constructed by the great Elite crew! Would you get serious? On top of all the awesome toy reveals, I even got to chat with line producer, Bill Miekina! Thanks for your time, Bill! 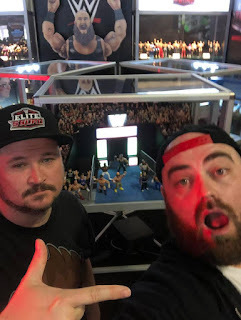 If you get the chance to visit Axxess, jump at it. 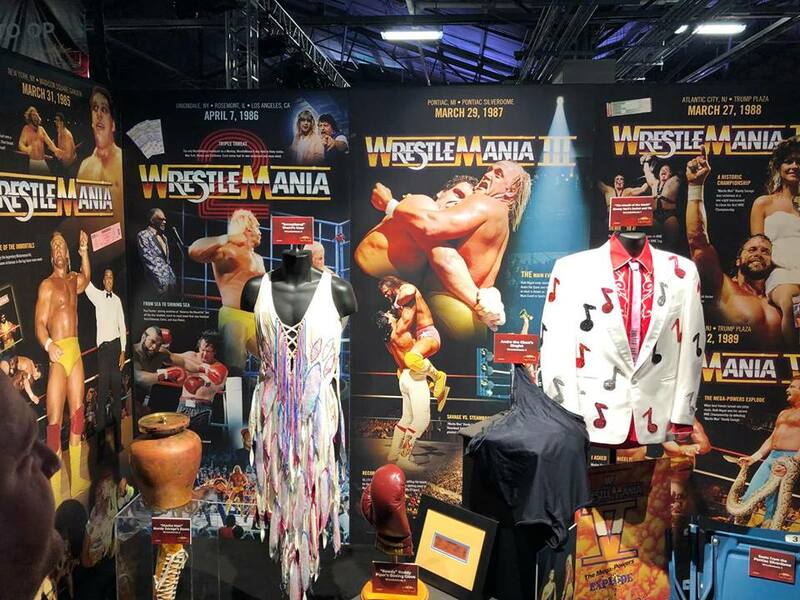 It's a great way to keep that wrestling geek momentum going and take home a wonderful memory of the weekend. You'll never forget it and I'd even argue, you''ll walk away and even bigger fan than before.